We can shoot, edit, and upload your video to your YouTube video channel and your website. Don’t have a YouTube Video Channel? YouTube and YouTube videos are the rage these days. Some may think this whole “YouTube thing” is a fad for the young. But actually YouTube is pretty mainstream. Everyone is jumping on the YouTube bandwagon. YouTube is now owned by Google. Google seems to rank YouTube videos high in page rank. Your business website needs a YouTube video on it for higher ranking in Google. 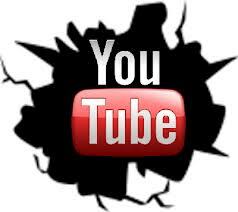 Let us help you set up your YouTube Channel and your YouTube videos. Need To Download A YouTube Video? Have you uploaded a video to YouTube sometime in the past and now you want to change something on that video? But you deleted the video from your computer or you just can’t seem to locate it? I can download a high quality version of your video from YouTube and make the changes you need. I can even put it on a DVD if that’s what you need. You know the old saying, “A picture is worth a thousand words”. So what do you think a YouTube video presentation on your website or blog would be worth? If you run a small business you need to put some kind of YouTube video on your website. Use it to show off your products or your service. Use it simply to introduce yourself. For personal YouTube videos you could show your new born baby to relatives around the world. Or a wedding clip, graduation, anniversary or birthday video. Your custom photo montage would be great also. The possibilities are endless. We’ll then put your YouTube video on your website for the world to see.